Does your business trade in products? If yes, where are your stocks kept? In one location or multiple locations? Locations may not mean in different areas. 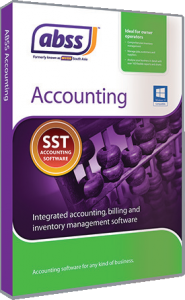 Some businesses keep stocks in their main store, but within that main store, they keep products in specific areas so that it will be easy to manage and also to locate. 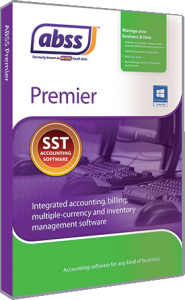 MYOB Premier enables you to keep track of your stocks and where they are located with the multi location feature. 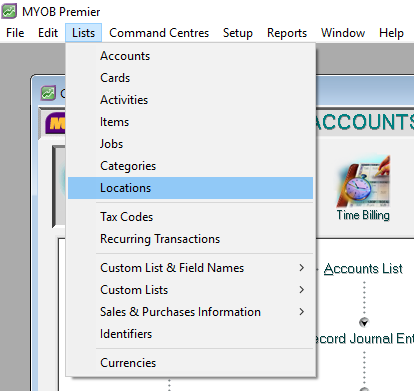 By default, when you first create your company files, MYOB creates one location and names it Location1 – Primary Location. All movement of items are put into this location by default. If there is only one location, you will not need to select a location for Sales or Purchases. To define locations, click on Lists, then Locations from the menu on top as shown in the image below. You can also access the Locations feature in the Command Centre by clicking on Inventory, then Locations. Here, you can add or modify details of each location. Locations are useful not just for keeping track of inventory in your stores, but can also be used to track consignment inventory. If it is a main store from which you distribute goods to other stores, you can also set to disallow sales from that location. 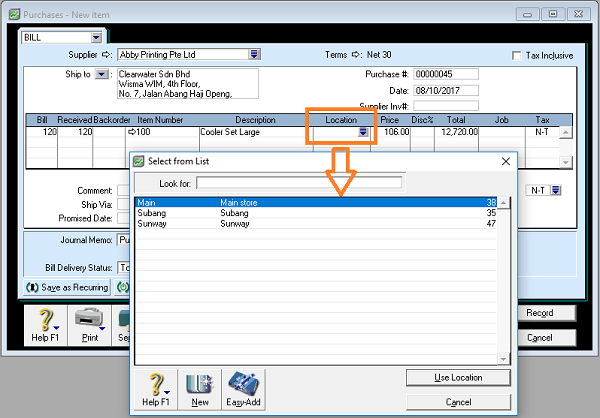 Once you have defined more than one location, when you issue a sales invoice or key in a supplier bill, you will see an additional column for location as shown below. 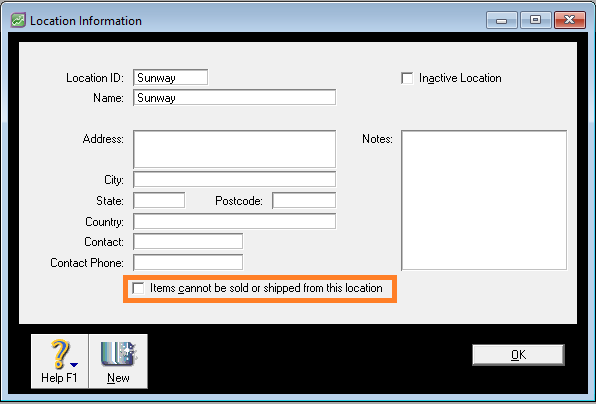 You can then select to ship goods to a customer from, or receive goods from a supplier to a specific inventory location. 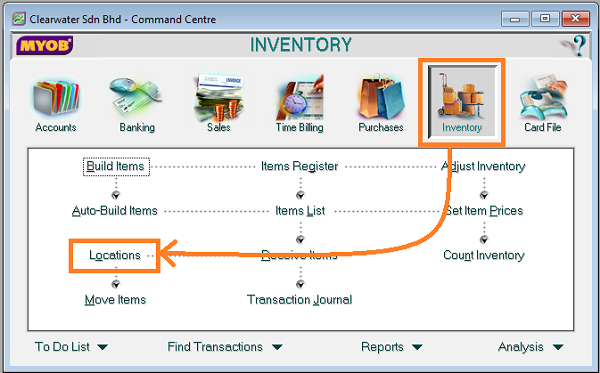 The inventory location feature is only available in MYOB Premier.